​Tired of your unruly nose hairs getting soaked in your morning coffee or your earbuds popping out because of the forest growing in your ears? We can't relate, but we can tell that you'll probably totally dig our futuristic Atomic Blaster Nose + Ear Hair Trimmer! 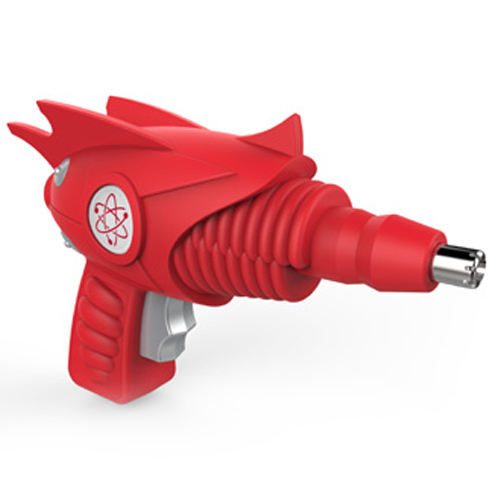 Pull the trigger on this retro ray gun styled trimmer and stand back as unwanted nose and ear hair gets blasted away! Presented in a “futuristic” window box —a perfect gift for every hairy spaceman on your list! Pew, pew, pew!